Welcome to April Edition of the SoapBox! This month we have a lot of great fun to share with you. 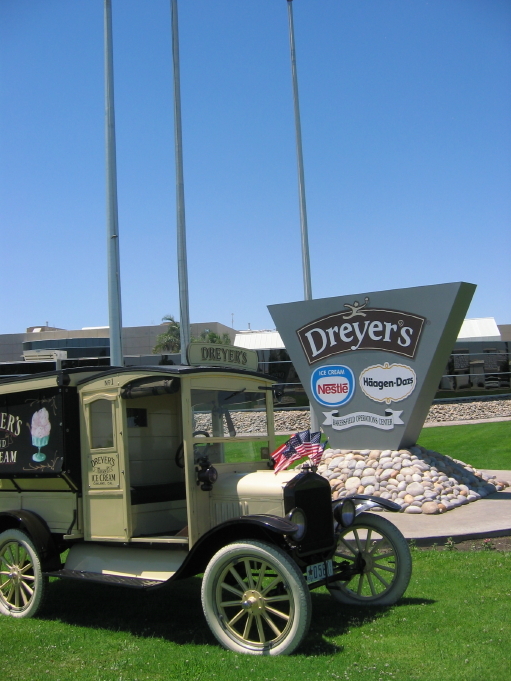 First, a real sweet treat: John Harrison, America’s Ice Cream Taster, has joined us to share some of the knowledge he’s learned from 30 years with Dreyer’s Grand Ice Cream Company. We’re also announcing our $500 donation nomination recipient…or should I say all three recipients!! We had so many wonderful submissions, John just couldn’t pick one. Ice cream is in John Harrison’s blood: His Great Grandfather owned two candy and ice cream parlors, his grandfather started the first dairy co-op in Tennessee, and his father owned a dairy ingredient company. If that wasn’t enough, his uncle owned a Wille Wanka ice cream factory in Memphis were he grew up spending the summer months making ice cream. John’s taste buds have been insured for $1,000,000. He has done 17,300 interviews on ice cream: 10,000 radio interviews, 7,000 TV interviews, and 300 magazine and newspaper interviews. Today, John is offering his best practices for expertise in any field. A passion for the product is a must. In this case, a dairy science or food science degree is also needed in this mature US industry. My background is in colloidal chemistry, tree exudates, and water polymers such as sodium carboxymethel cellulose. Food grade ingredients that bind water and give viscosity. I traveled North and South America as a formulater, troubleshooter, and problem solver working with all the major ice cream manufacturing companies. Always move forward. A set of circumstances took me away from the ice cream industry for a short period of time. I remained in the food industry as a head hunter. I consulted with a small ice cream company in the late 70’s which later became the largest company of its type in America. We got to know one another so I called them to see if they were looking for any key management personnel. Yes, there were looking for a Vice President level manager to oversee the corporate manufacturing operation. I filled the position with the person who later became my boss. Now, how often does that happen? It was not long after this that I received a phone call from the Vice President of Dreyer’s Grand Ice Cream Company in Oakland, CA offering me a position as Taster and Flavor Developer. Over the next five years I developed 75 flavors that went to the marketplace. The most popular was Cookies N’ Cream, which soon became the fasted growing new flavor in the history of ice cream and is now in the top five selling flavors in the world! Not long after this, due to personnel changes, I was asked if I would, due to my product knowledge, be the “Corporate National Product Spokesman” for the Company where I spent the next twenty-five years. The top 5 selling flavors represent 58% of the total volume sold. I believe no one person has a “lock” on creative ideas. I do believe that new ideas are available for those who are open, expecting, and have a desire to see what is right before us that needs to be enhanced, changed or made simpler. No matter the industry, good business practices will take you to the top. Ideas flow with an attitude of gratitude. 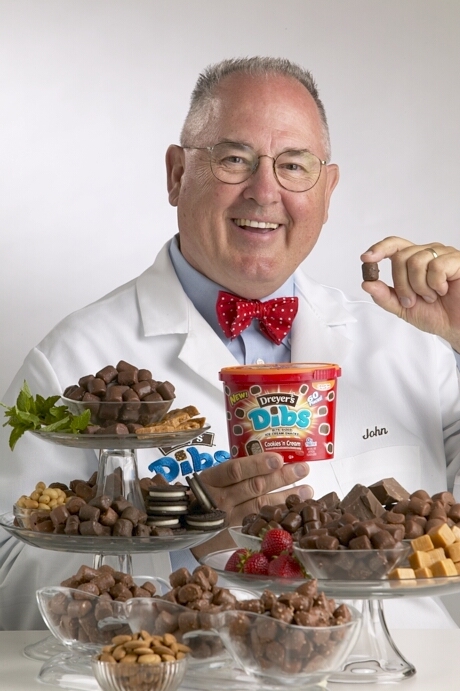 I added the “gold spoon” to taste, the bow-tie, and the lab coat that set me apart (along with the million dollar taste buds) in a global industry. Watch Mr. Harrison in action in this short video clip! You are a business and you can go as far as you desire. Be a Servant Leader and see if you won’t go to the top when you encourage others along the way. Our sincere thanks and appreciation to John H. for sharing his 5 tips for success. Again, if you wish to contact John you can email him here. Let’s all take an attitude of gratitude this week! Thank you again for joining us. If you haven’t signed up for the SoapBox so you receive it in your inbox each month, sign up now!